Investigators working under special counsel Robert Mueller are interested in speaking with people who were present on Air Force One during the drafting of the statement explaining Donald Trump Jr.’s 2016 meeting with a Russian lawyer, reports CNN. According to the media outlet, which broke the story on Thursday based on inside sources, "Mueller wants to know how the statement aboard Air Force One was put together, whether information was intentionally left out and who was involved." The report goes on to say, "Mueller’s questions could go to the issue of intent and possible efforts to conceal information during an obstruction of justice investigation." President Trump’s son had initially released a statement about the meeting to the New York Times, "We primarily discussed a program about the adoption of Russian children that was active and popular with American families years ago and was since ended by the Russian government, but it was not a campaign issue at the time and there was no follow up." The Washington Post reported in late July that the president "personally dictated" the statement aboard Air Force One earlier that month. 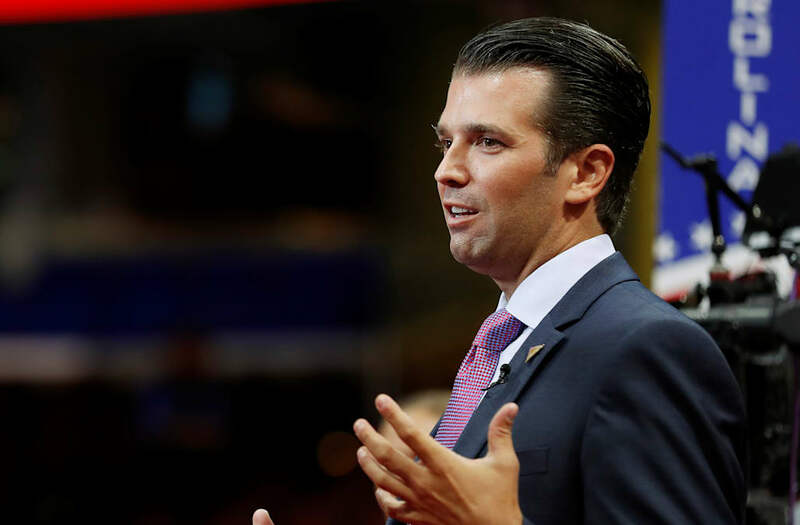 However, the comment was eventually found to be misleading, as Trump Jr. later admitted that he had attended the meeting in the hopes of learning potentially damaging information about his father’s opponent, Hillary Clinton. Since then, some of Mueller’s team has reportedly been scrutinizing the interaction including Trump Jr.’s statements, intent, and the information that was exchanged amid the possibility that the Trump campaign colluded with Russia to influence the U.S. election, notes BuzzFeed News. Trump Jr. spent over five hours testifying about the meeting before Senate Judiciary Committee staff members in a closed-door session Thursday; he continued to maintain that nothing substantive was gained from his conversation with the lawyer, Natalia Veselnitskaya.